Are you an avid Instagram-er? One of our favorite parts of Instagram is Instagram Stories because they last 24 hours and are a fun, engaging way to share content and what is going on that day. We have KALEO Real Estate Company branded GIFs! The GIFs are availiable in the Instagram app when you post on your story. 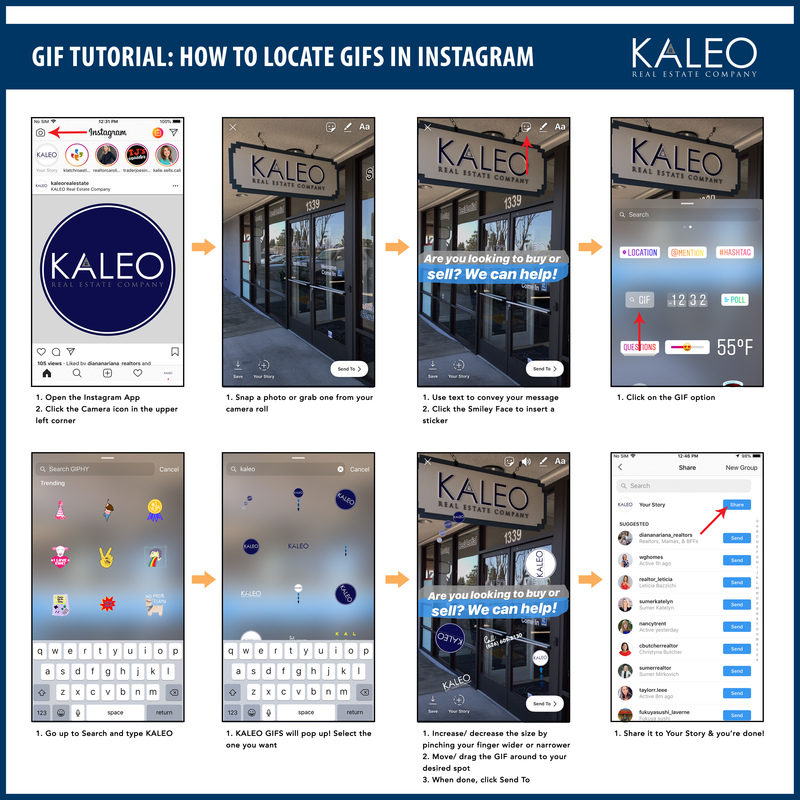 Access them by clicking on the GIF search sticker and searching “KALEO” or “KALEO Real Estate”. Why do we love GIFs? Because they are fun! Tag @KALEORealEstate in your Instagram stories when you use a GIF.